Looking for a fun, cheap way to host the greatest Super Bowl party of all time?! 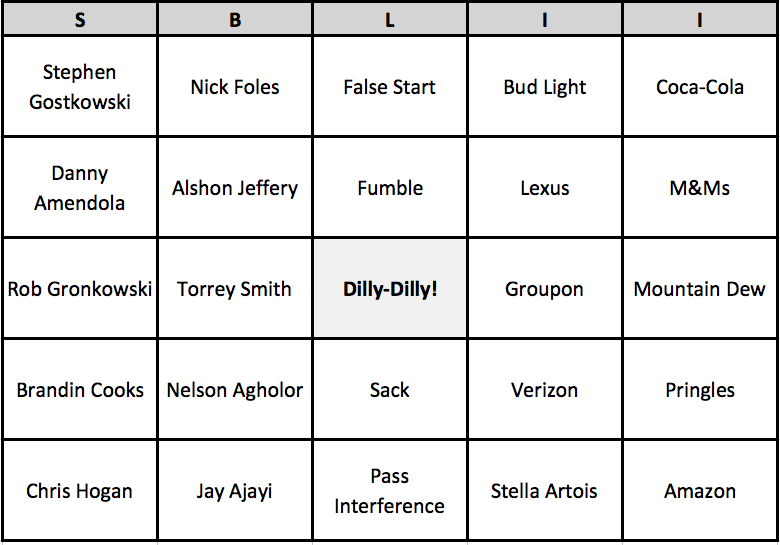 Well then print out our Super Bowl Bingo game boards for your guests! Oh look, a Bud Light Commercial, Dilly-Dilly! 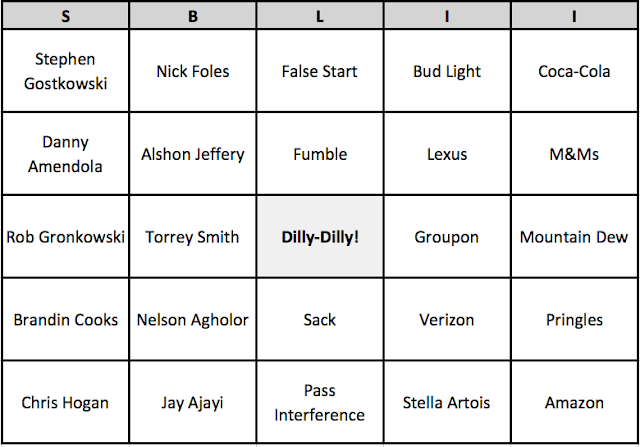 If you do indeed use these Super Bowl LII Bingo Boards, please leave a comment, and/or shout it out on twitter or facebook!